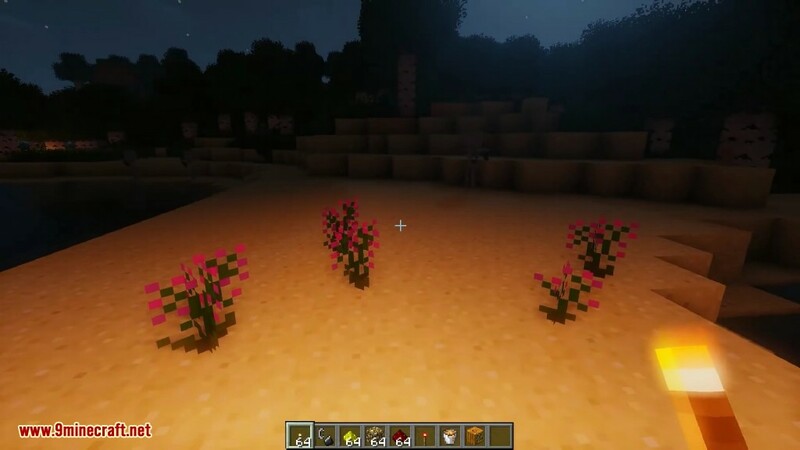 Dynamic Lights Mod 1.11.2/1.10.2 adds a few brilliant touches with Minecraft’s lighting system. 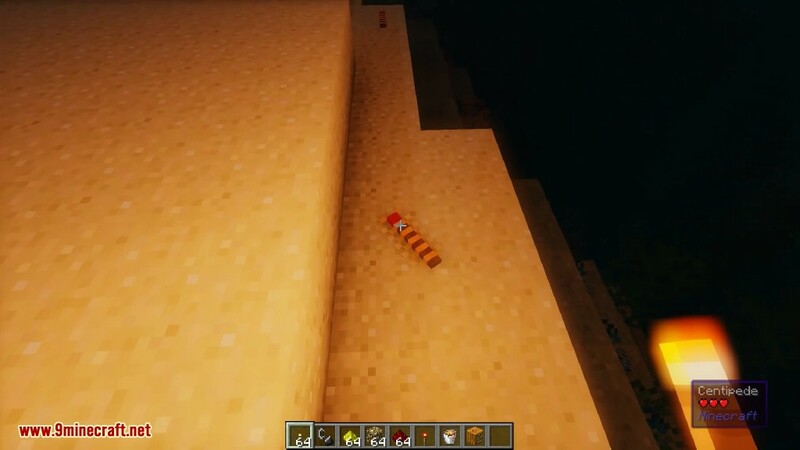 Exploring caves has never been easier thanks to the dynamic lighting mod. 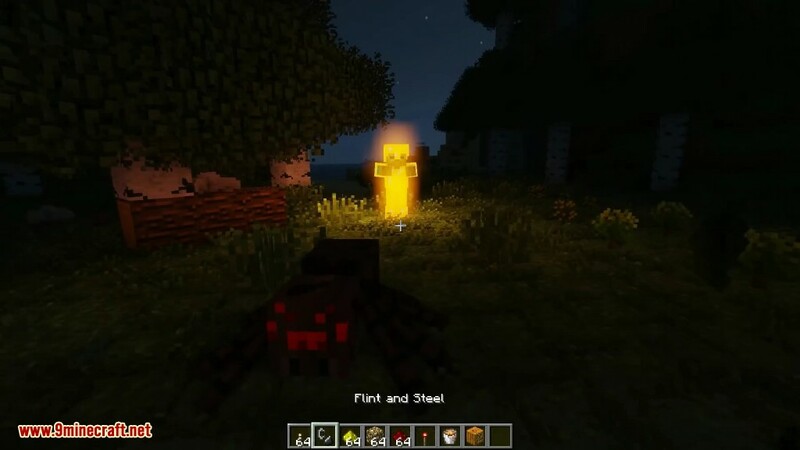 When holding a torch, glowstone, etc. it will light up the surrounding area. 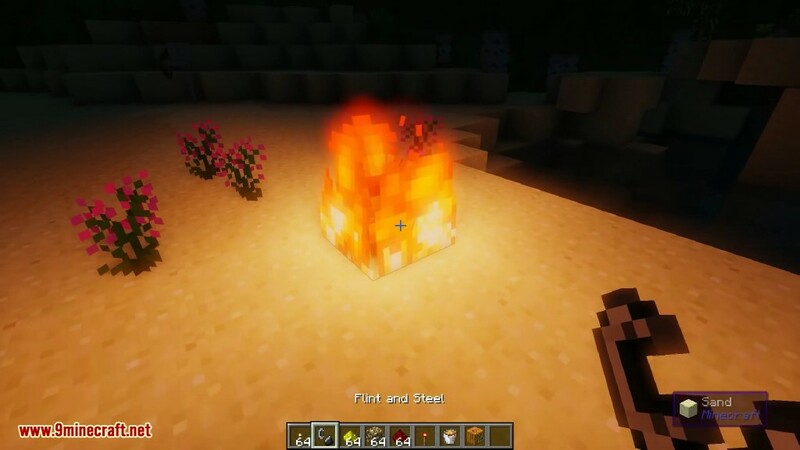 Similarly, if you throw the lit item it will still light up the area. 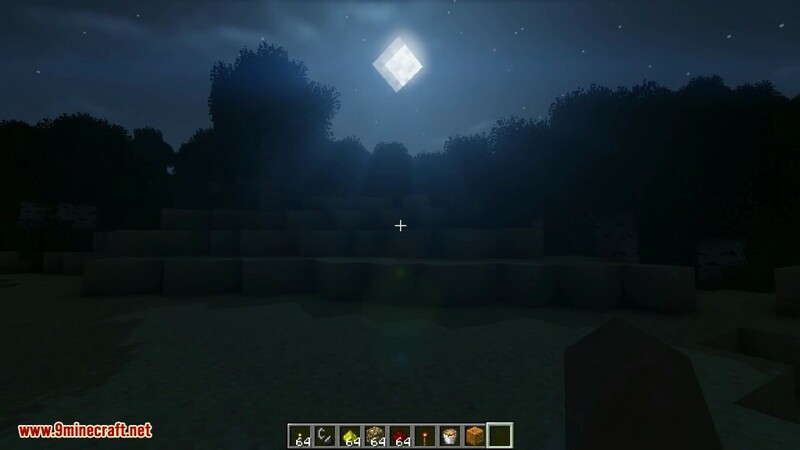 This mod makes light sources in Minecraft actually make sense. Holding any light source in your hand now emits light and does not need to be placed down to light up an area. 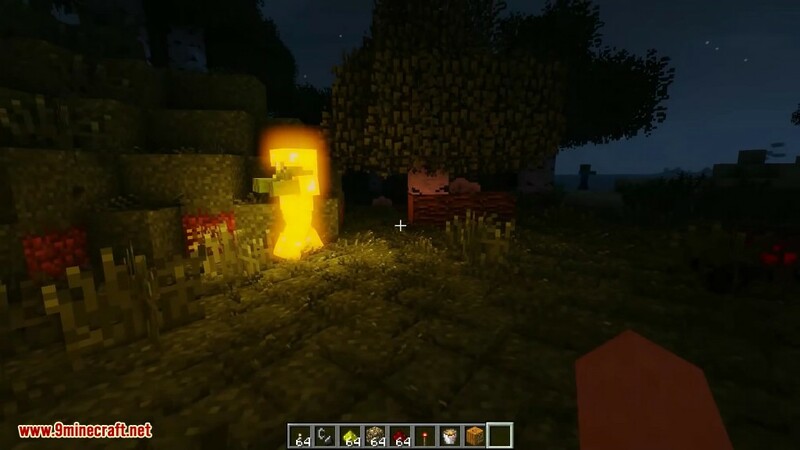 This mod makes ‘shining’ items (default: Torch, Glowstone, Glowdust, Lit Pumpkin, Redstone, Lava Bucket, powered Minecart) illuminate everything around them if. On top of that, burning Entities shine light, and Creepers about to explode light up. You may add any Item ID you wish as shiny item, via the settings file. Also supports armor items. Boosted efficiency A LOT, I’m positive it cannot be done any better now. 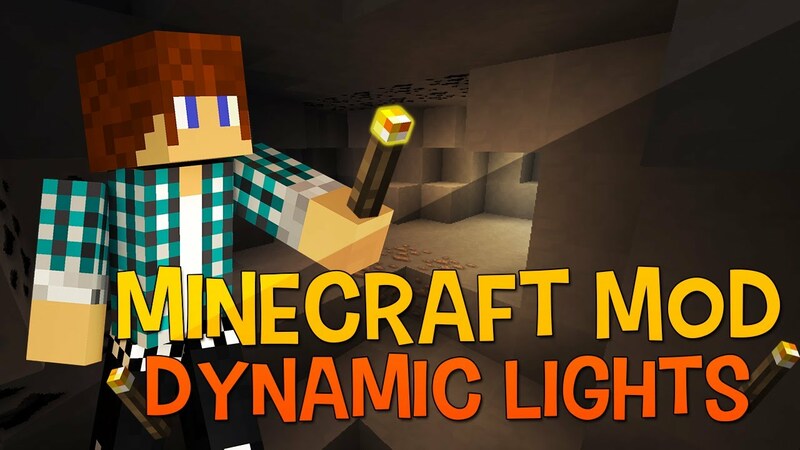 Dynamic Lights is now modular. 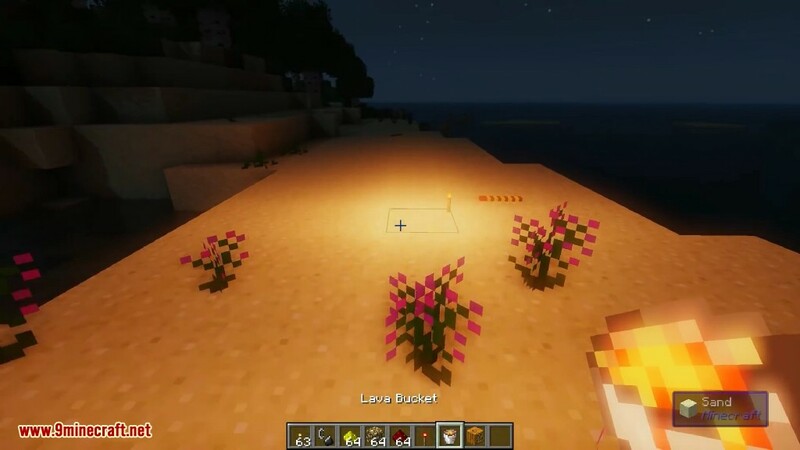 Configuration files for Dynamic Light modules can now be found at /config/. Global toggle Button can now be configured via Controls Menu. The default key is “L”. 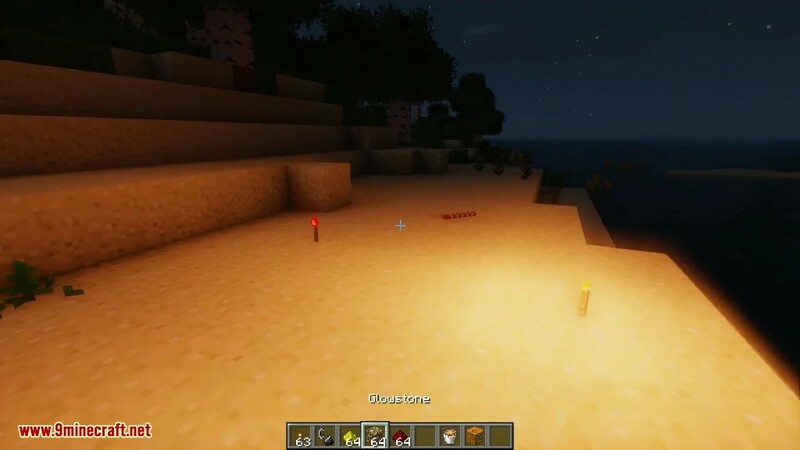 You can turn all dynamic Lights on/off with it. You can change the key in the config file. There is no limit to the number of lights you can create, note however they are fairly FPS-costly. You can disable modules to obtain better FPS. 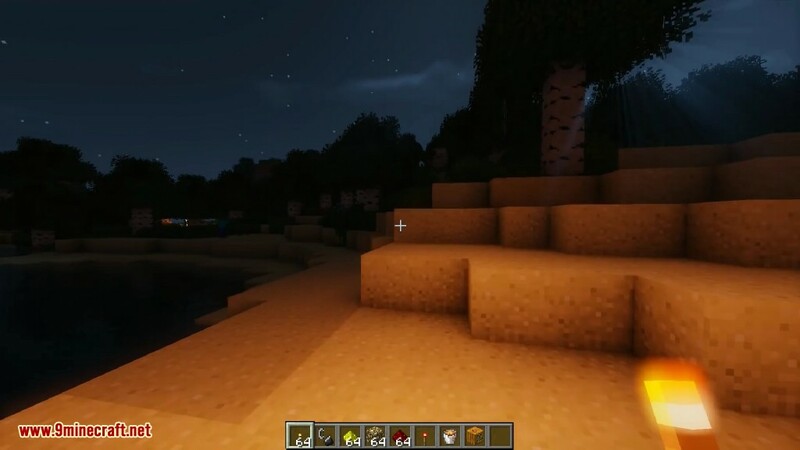 Recommend using Optifine HD for replacing Notch’s funky render code with slightly less funky rendering code. The mod should work in Multiplayer by default, yet is clientside, it cannot lag servers. 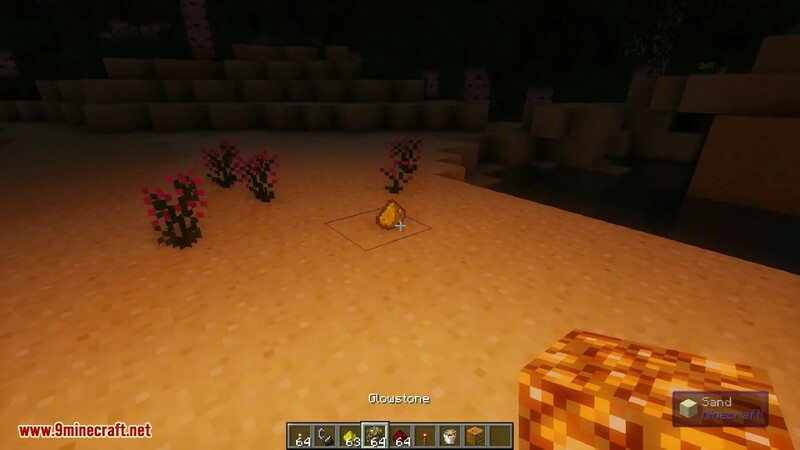 Note however ‘dropped’ light sources will not prevent Mobs from Spawning, and neither will your handheld light.